If you missed our last article make sure to check it out here to read about getting up and running with Magento 2 and Amazon Lightsail. In part one we discussed why you might choose Lightsail and some of the roadblocks you may experience while getting up and running. Since that time there have been some improvements. In particular, one-click connecting to an instance without the need for a Java applet to connect to the command line console is a big step forward. 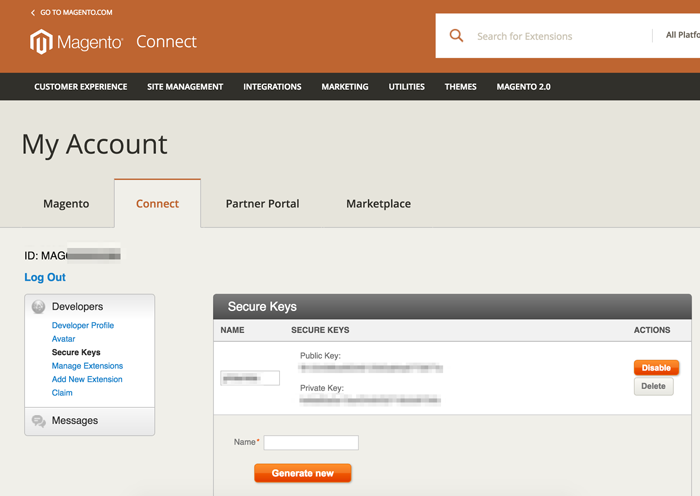 The boot log contains the key for the default user password to log into the Magento 2 admin. 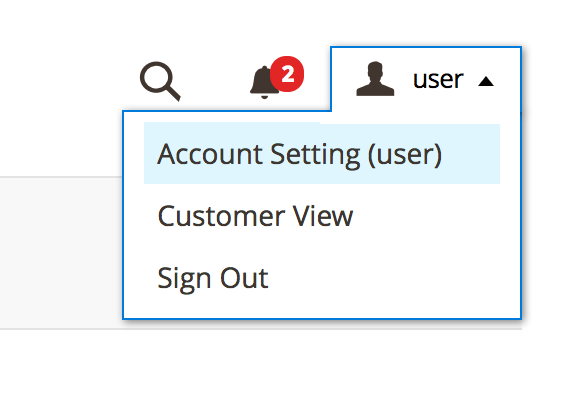 The default admin lives at yourdomain.com/admin and the default username is “user”. With that covered we can log into the Magento admin and install sample data. When your password is reset it’ll issue a warning that Magento 2 can’t send emails. We’ll skip this step for now and cover setting up Amazon SES in part 3. If you do not do not currently have a secure key, you will need to create one. Copy the public and private keys to somewhere safe like 1Password or Lastpass. 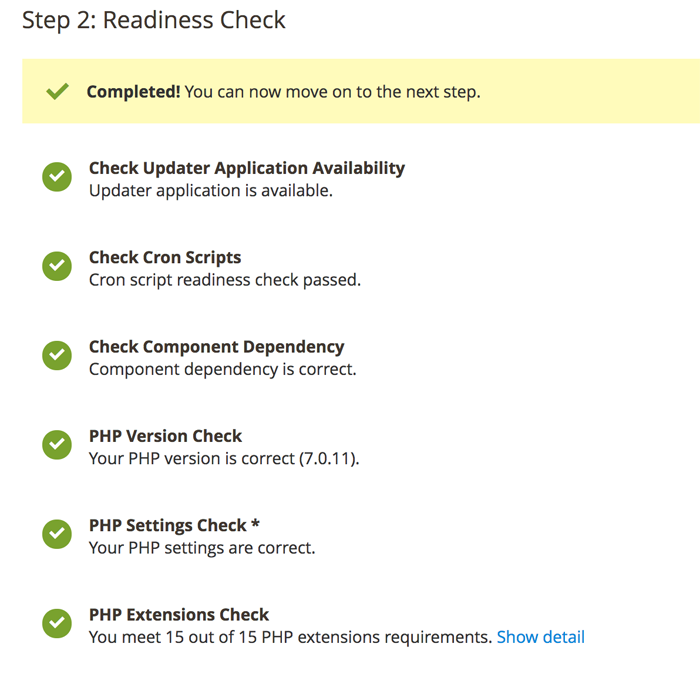 When you select “Next” Magento 2 will do a readiness check. Part of this is ensuring there is enough free system memory (RAM) to complete an upgrade. The minimum required is 768MB of RAM. If you’re planning on running your Lightsail VPS at the $5/month 512MB option, this is where you may need to reboot a snapshot to a larger instance. Bear in mind that the larger the amount of RAM you have available generally the faster it will be to upgrade. I have a 4GB VPS started so I reset my INI file to take advantage of 3072MB of RAM (~3GB). No need to restart Apache or PHP-FPM to let this change take effect. 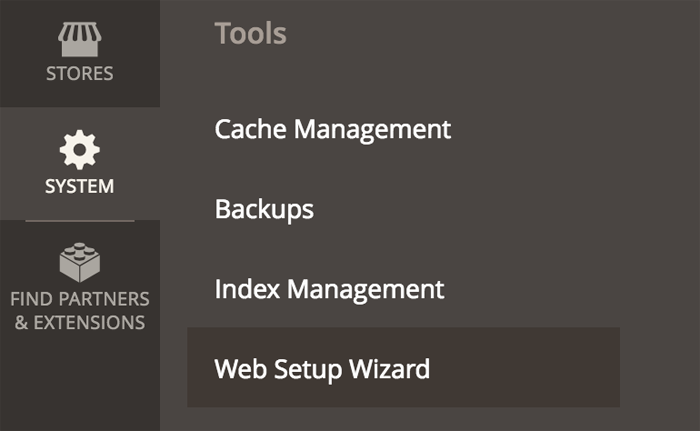 After selecting “Next” you will be presented with a number of options for performing a backup of your existing site. This includes code, media, and database. This can take some time to complete if this isn’t a brand new Lightsail site. If it is a brand new site this should take less than a minute. Click “Next” to proceed. Finally, we click “Upgrade” to begin the upgrade process. The process can take upwards of 15 minutes to complete. During this time the store is in maintenance mode and will display your system default 503 error. This rekicks the configuration keys for the bitnami instance and fixes permissions issues in var/generation folder. The system is now upgraded to the most recent version! 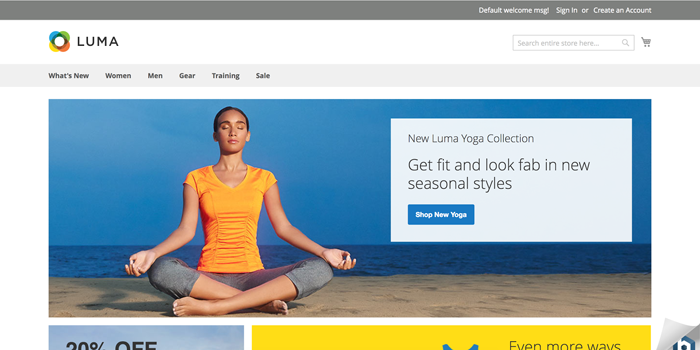 Refresh the homepage and you should see the new sampledata home page installed. 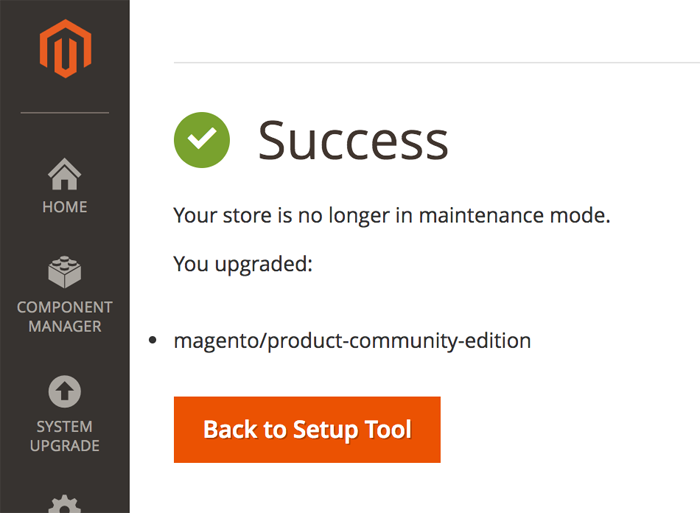 A default Magento 2 installation on Lightsail is a fast way to get up and running. However, managing a store is not a fully UI-capable affair, requiring you to delve into the shell to issue commands from time to time. Part of this is due to the setup of the Bitnami environment and some of it is due to some of the issues with how Magento 2 handles upgrade components. Because of the ease and speed of setup it is still a very valuable way to get a Magento 2 site up and running fast. 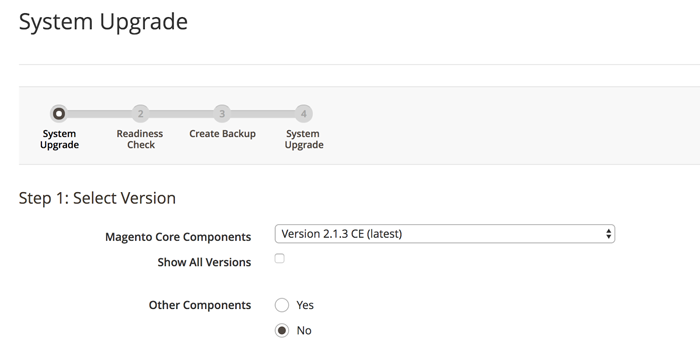 Hopefully Lightsail gets up to date with the newest 2.1.3 soon and the upgrade step will no longer be required. Until then it is still a great way for any merchant to quickly pilot Magento 2.